Wingdings Checkmark or Tick Symbol. A checkmark (also known as checked, tick or checkbox in English) is a mark (✓, ✔ , ☑, √) used to indicate the concept of “yes”, to indicate that “yes, it has been verified” and also, “yes, that is the correct answer”. It is opposed to the cross even though the cross can also be positive (as in paper votes). In some European countries such as Finland and Sweden, the checkmark can be used as an error mark and therefore indicates “no” instead of “yes”. In Japan and Korea, a “◯”, also known as “丸印” (marujirushi), is used to indicate “yes” instead of the checkmark. The history of this symbol has no clear origin. According to specialists, the origin of this symbol can be found in Ancient Rome, when people marked elements in the lists with a letter V, that in Latin would be veritas (truth). Other versions place the Greeks as inventors of these symbols of approval and rejection. In general, printed forms include boxes or spaces to mark with a checkmark if the item in the form has been checked or revised. The latter is also applicable to computer interfaces, with the check box being usually presented as an empty box that, at the moment of clicking on it, is filled with a checkmark or tick. In some mobile applications, the ✔ mark means read or verified. Such is the case with WhatsApp and Facebook where it is used as an easily understood visual way that says the message has been read and seen but with no response through. 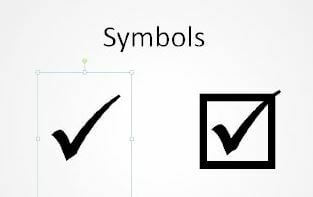 The first method you can use to insert a checkmark into a document, in a popular word processor such as Microsoft Word or OpenOffice Writer, is the Insert> Symbol command. This command will open the Symbol dialog box that will allow us to see the available symbols in the different types of fonts installed on our computer. 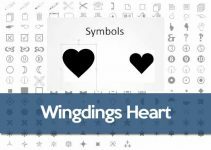 In this case, we are interested in writing the checkmark symbol so we are only going to use one of these two types of fonts: Webdings or Wingdings 2. 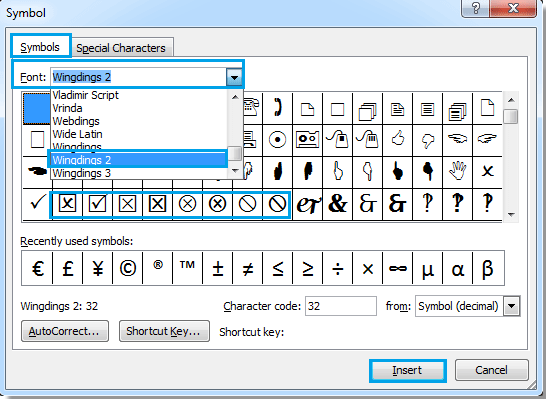 The following image shows the Symbol dialog box in Microsoft Word with the Wingdings 2 font selected, here you can see that there are a few options for checkmark and checkbox symbols. Once you have selected the check mark you want, you will have to press the Insert button and as a result you will see that character in your document. Note that after pressing the Insert button, the Symbol dialog box will remain open until you close the window or press the Close button. We can use the same method with the font Webdings which has a different style of ticks or checkmarks. Another method you can use to insert a checkmark into a document is by entering its equivalent letter on a regular font and then changing the font. 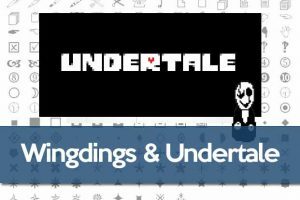 For example, in a Word document, you could enter the letter ‘P‘ (uppercase p) in Arial, then highlight that text and change the font to Wingdings 2. You will immediately see the Wingdings tick symbol. You can do the same using the letter ‘a’ (lowercase A) and then changing the font into Webdings. 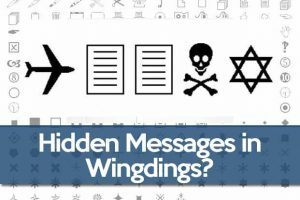 This concludes this article on Wingdings Tick or Checkmark symbol code. 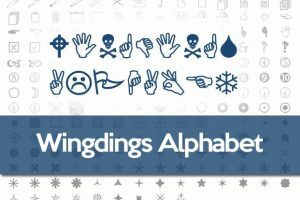 Keep reading this website to learn more about the Wingdings font. 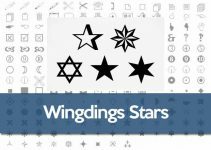 You can also use the online Wingdings translator to translate long sentences and text into Wingdings font.